Teams across the NBA are loaded this time of year with players who signed as undrafted free agents. The impending addition of former Rutgers power forward Kadeem Jack to the Pacers will make it 44 players on NBA rosters who went undrafted this year. They outnumber the 2015 draftees, of whom only 41 are under contract with NBA teams. 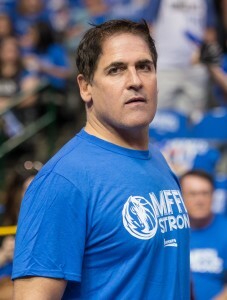 A few GMs reportedly believe a decent chance exists the NBA draft will expand beyond two rounds once the D-League has 30 teams, but Mavericks owner Mark Cuban has an idea for a different sort of draft entirely, as he explained when Hoops Rumors asked him what he would change about NBA free agency. The supplemental draft would have two rounds, and teams would hold the rights to the players they select for two years, Cuban added. Players can opt out and choose not to make themselves eligible, but those who get picked would receive fully guaranteed minimum-salary contracts when they sign, according to Cuban’s proposal. Cuban said that he’s raised the idea in some conversations, though no formal discussions have taken place. Instituting a second-chance draft like this would require approval from the players association and probably necessitate changes to the language in the collective bargaining agreement. Commissioner Adam Silver and union executive director Michele Roberts are already talking, if only informally, about labor issues, with both sides having the power to opt out of the labor agreement in 2017, so an idea like this could come to the table in the months ahead. The players would certainly like the idea of fully guaranteed deals, since most of the undrafted free agents who would be eligible for Cuban’s supplemental draft and who signed this summer have only partial guarantees, at best. They’d also probably like that they’d be able to opt out of the supplemental draft entirely, since it would preserve their ability to negotiate with multiple teams if they want to. That power in many cases puts undrafted players in more favorable positions than the ones their second-round brethren are in, so part of the intrigue of the supplemental draft would be seeing which players would be willing to sacrifice that flexibility in exchange for the chance at a guaranteed contract. I’d speculate that some teams would want to tweak the proposal so that they have the ability to opt out, too. That would come in handy for teams that enter July with a high volume of guaranteed contracts already on the books. Of course, teams wouldn’t have to sign the players they selected immediately, just as with the conventional draft, though in the stipulations Cuban laid out, they would only have two years to bring supplemental draftees onto the roster before their draft rights expire. The existing draft allows teams to roll over a player’s draft rights in perpetuity as long as they keep making non-guaranteed required tenders every year. The proposal would take some of the hassle out of summer league for teams, and it would also further legitimize summer league, since it would more closely tie summer league rosters to camp and regular season rosters. It would involve not just players freshly passed over in the draft but those who’d already played professionally for a few years, too. Cuban didn’t say whether players with NBA experience would be involved, though presumably players under NBA contracts or with Bird rights tied to an NBA team would be excluded. Cuban’s idea is somewhat reminiscent of Major League Baseball’s Rule 5 draft, which involves overlooked prospects and requires teams to keep draftees on big-league rosters. Cuban answered affirmatively when Hoops Rumors asked if the current system allowed for enough creativity in structuring deals, but clearly, he wouldn’t mind seeing an extra layer of intrigue to the NBA’s offseason. Time will tell if the other owners and the players are willing to go along. What do you think of Cuban’s idea for a supplemental draft? Leave a comment to share your take on his plan and any proposals of your own. I think Cuban is about half way there. The supplemental draft, which could really manifest itself in a 3rd round of the NBA draft, is only one piece of what needs to happen in the upcoming CBA. I believe that when the D-League gets 30 teams and all 1 for 1, which the league should stimulate/encourage, there should be an additional 3 roster spots for each team designated for players in the d-league, while not changing the number of players able to suit up for each game. This way there are 3 higher level prospects getting NBA minimum but effectively playing all their minutes in the D-League. Then, the D-League maximum salary should be raised to around $100k with the parent team having what amounts to a form of Restricted FA rights to all of the players on the roster ex: If the Mavs offer an NBA contract to a player on the Spurs affiliate team, the Spurs can match the offer or decline. The raised salary and clear path to an NBA team will encourage higher level talent to play in the D-League and make the D-League games a better draw for fans. Yeah, I think it would be a good idea to incorporate the D-League into this, too. The key would be getting the D-League up to 30 teams with one-to-one affiliates for each NBA franchise, as you mention. They’re getting there, but it seems like they’re still at least five or six years away, at the rate they’re going. Do you think the mandated formation of a 1-1 D-league franchise for each team could make its way into the next CBA? I feel like the Players Association would be in favor of more guaranteed contracts and better pay for the D-League players and the owners extending control of prospects and their development, though I am unsure if there is a Players Association for the D-League currently and if they have any ties to the NBAPA. I feel like the CBA telling the 10 or so teams that in light of the increased revenue they need to form a D-League affilliate within a certain time period and if the draft changes are instituted ahead of the league wide 1-1 affiliation it will provide even more incentive for these teams to assemble an affiliate. Just a thought, but there is talent in Europe/Asia that want to play in the NBA that would certainly see the D-League as a viable pipeline toward that goal if the salaries increased and with better talent, the D-League franchises will bring in enough money to cover that expense. To answer your question, D-League players don’t have a formal union of their own that collectively bargains with the league. Also, I don’t think the NBA and its players will mandate the formation of a 30-team D-League in the collective bargaining agreement. That’s already the plan, though they could stipulate contingencies for when that happens. I’d think the league would hesitate to commit to a hard timetable for expanding the D-League. Minor leagues tend to get in trouble when they expand too quickly. I was with you until the RFA. They should only become restricted FAs in the last year of the contract, like the rookie contracts. I could see teams like Philly or Portland trying to offer guys a contract on teams that are hard capped or don’t have any roster openings. Their rights should remain solely with the team that drafted them for minimum 1 year, if not 2. Before accepting Mark Cuban’s offer, I’d like to hear what Mr. Wonderful has to say. Doesn’t go far enough. Expand the D-League, expand the draft. Elongate second round contracts, raise the minimum salary. the nba should allow nba teams to have 20 players on their rosters with 5 being nbdl players and 2 being reserve not dressed players and 13 dressed players for every game…..and every team must own their own nbdl team which consists of 15 players and that they can only retrieve players fro their d league team when players are injured or via trades….this would thusly give 2100 basketball jobs to players but nbdl players who are not on the nba team roster and only the dleague roster can only make 500 a game and those who are on the nba roster but are the dleaguers get 1000 a game…..played or not played….for both…. now with that said the nba then should the increase the draft to five rounds each year for the nba teams and have a second draft for their nbdl teams after that for an additional 5 rounds that then involve cubans way of supplement drafting…..and those who are drafted or play only for the dleague teams and are called up can only recieve 2 times the amount they get per game plus their nbdl salary when they are in the big leagues that season for any amount of time…..playing or not….and all nbas players who are dropped down to the d league that have nba cotracts can only recieve half their pay for the time down….and all players at both levels must be at all practices and games injured or not even to recieve pay unless fully excused from via ther team heads and the leagues heads…..and only time a d league team can add extra players is if their roster drops under 10 active players due to injuries and then they can sign outside league players to fill in temp wise at 500 a game played or not….and all nba signed players are to be paid by the nba team even while on d league roster…..and nba caps be set at 100 million for 20 players……and taxed dollar for dollar over that….and d league caps b set at 1 million max…. I think that no one is talking about the more important issues here. The draft should be moved after free agency (where except for the Sixers teams build their roster) and the age should go down again. Unless players stay for at least two years in college they don’t really mature and the high picks are always one-and-done. But more importantly, the college game with the 35-seconds shot clock and the level of players doesn’t really prepare guys. So if the next Lebron or Jordan wants to play in the NBA straight out of high school they should let him. And if you want to improve the D-league so badly, just raise not the minimum but the MAXIMUM contracts. It’s unbelievable that players can’t make more than $25,000 in the D-league while they can easily earn 5 times that amount overseas.